Dr. Shepard is Board Certified in Orthopaedic Surgery and has over 32 years of experience in the medical field, including expertise prior to joining Dr. Gaber and Associates performing independent medical evaluations. Prior to joining Dr. Jeffrey Gaber, he worked as an Orthopaedic Surgeon at MedStar Harbor Hospital for 6 years. 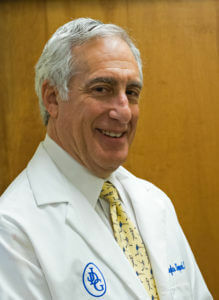 Dr. Shepard received his Doctor of Medicine Degree from Baylor College of Medicine. He completed his surgical residency at Yale before returning to Baylor to complete his orthopaedics and hand fellowship. Dr. Shepard is a fellow of the American Academy of Orthopaedic Surgeons. Dr. Shepard is fluent in Spanish and can communicate effectively with Spanish-speaking patients, which eliminates the need to bring a translator.